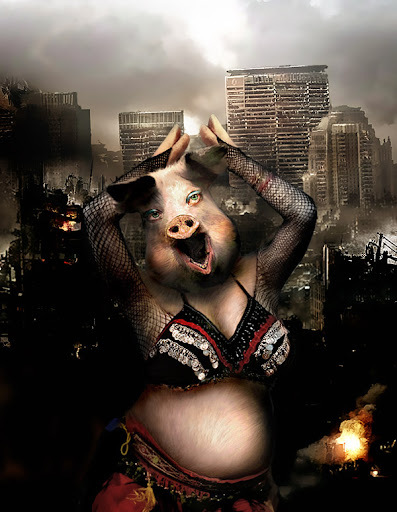 Swine flu media hype is reaching a climax. Time cue the sow, err fat lady. From the Rose Garden today, President Barack Obama promised that the swine flu vaccine “will be completely voluntary.” He took no questions and spoke for only four minutes. Top policymakers from the various alphabet agencies whose bailiwick includes the WHO flu (H1N1) flanked him.